With a population in 2010 of just over 6,700 people, and a size of 3.85 square miles, Milford is a city named after the fact that it had the very first “safe ford across the Little Miami, north of the Ohio River, and was the only way for many people to reach the local mill.” It is assumed that Milford was once home to Native Americans during the Woodland period and has been inhabited since prehistoric times. Milford is home to some great trails for walking a biking, and is also a beautiful city where many enjoy natural surroundings on a daily basis. 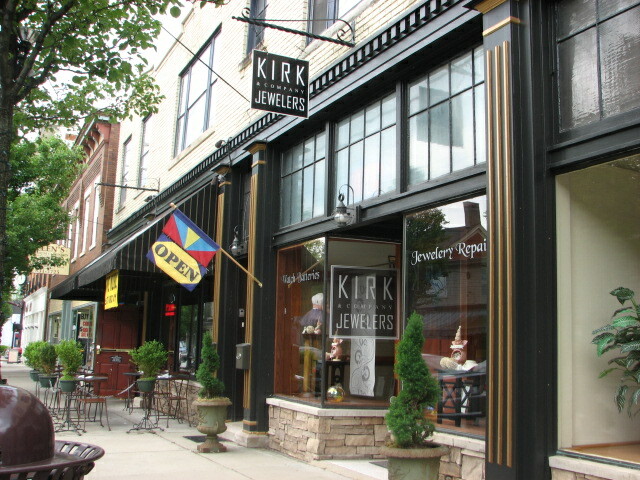 Milford is located in both Hamilton and Clermont counties. It is located along the Little Miami River in the southwestern part of the state of Ohio. Only 17 miles from downtown Cincinnati, Milford provides pretty easy access to the amenities offered within the Cincinnati city limits, while preserving is quiet, secluded atmosphere. The Milford Exempted Schools, according to schooldigger.com, is ranked 99th out of the 709 districts in the state of Ohio. With 7 elementary schools, one middle school and one high school, this school district serves just over 6,500 students. According to their report card, Milford Exempted Schools scored a “B” in their performance test results, but 100% of the 3rd-7th grade students in the district passed the state tests with a proficient rating. Milford Christian Academy and Miami Valley Christian Academy are both private, Christian schools located within the city. Milford Christian Academy offers a 15:1 student/teacher ratio and serves just over 250 students in grades K-12. Miami Valley Christian Academy offers a few ways to get your foot in the door to check out the school. Open Houses are offered a couple of times during the school year, and this is a great way for you to check out the school. In addition, the school offers “Rise and Shine” 10-12 times throughout the year where you can come to MVCA at 9:00 am and join a “parent preview day” to get to know the school a bit more intimately. Another offering is “MVCA Mondays” which are offered several times throughout the school year and “Bring a Friend Day”, which allows students to bring a friend along for the entire school day. St. Andrews is a parochial school, serving Pre School through 8th grade. The school serves 500 students and is fully accredited by the state of Ohio. The school is affiliated with the Archdiocese of Cincinnati, and the average class size is 21. Live Oaks is located in Milford as well. Live Oaks is part of the great oaks technical schools spread all over the Greater Cincinnati area. The Oaks offers several career programs for high school students who would like to pursue careers immediate upon graduation. Milford is home to several parks, including the Trail Town, the Milford Bike Trail and Riverside Park. Whether you want to walk, take the kids to the playground or ride several miles on the shaded, scenic bike trail, Milford has a park for you. The Cincinnati Nature Center houses Rowe Woods located in Milford. This nature center offers several exciting events for the entire family all year long. From nature walks at night, to learning about different types of birds and plants, to camping out on the grounds, you won’t be disappointed if you visit the nature center. Milford Streeteats is an annual event that takes place each summer. Various trucks, housing food from over 15 different, local restaurants line the streets of Milford. People come from all over. Live bands and refreshing brews are a huge part of this event as well. The Milford Streeteats is a fun event where everyone can taste food from several popular local restaurants while being entertained by live music. The Amazing Charity Race takes place in Milford and Miami Township each June. This race is a “full day of good natured competition, music and food and laughs. You must be able to swim in order to participate in this funny, adventurous, race. Milford hosts Frontier Days each June. “Frontier Days was an idea of a small group from the Milford Chamber of Commerce. They observed 75 to 100 canoeists racing on the Little Miami River. The finish line at that time was located at the bridge, where they would load their canoes and go home and no recognition was given. The group decided to bring grills and coolers of drinks to the riverbank to sell food and drink to the hungry and thirsty canoeist. Soon after, the group decided to name this event Frontier Days.” This great 3-day event has entertainment, rides, games and food. Come out to enjoy Frontier Days. “Big Poppa’s Café on Main is the 2014 Cincinnati A-List Award Winner for the best sandwich shop in Cincinnati.” The café offers a variety of menu items and is a “must-see” in the city. The menu includes breakfast, lunch and dinner. They offer a good meal at a “fair price” and will not disappoint. The May Café in Milford is another hot spot in the city. According to May’s site, one can “enjoy the charm of Historic Downtown Milford, Ohio” because they take “pride in serving the highest quality ingredients to ensure an unforgettable dining experience.” Their staff is said to be “friendly” and “dedicated to serving the needs” of their customers in a “clean, comfortable, and courteous environment.” The café offers “daily homemade soups”, indoor or outdoor seating, and dine-in or carry out orders. Padrino has been voted “one of Cincinnati’s best pizzas” by Cincinnati Magazine. This small pizza joint serves not only pizza, but also pastas and sandwiches. The salads are the staple at Padrino’s, served in enormous portions, family-style. Padrino’s also offers the $30- Spaghetti& Meatball challenge. If you can eat 2 lbs of spaghetti, one pound of meatballs and one pound of sauce in 45 minutes, your meal is on the house. In addition, you will receive a free t-shirt and your face on the wall of fame in the restaurant. How cool is that!? The data relating to real estate for sale on this web site comes in part from the Broker Reciprocity™ (Internet Data Exchange / IDX) program of the Multiple Listing Service of Greater Cincinnati. Real estate listings held by brokerage firms other than Cain Brands LLC are marked with the Broker Reciprocity™ logo (the small house as shown to the left) and detailed information about them includes the name of the listing brokers. IDX information is provided exclusively for consumers' personal non-commercial use and may not be used for any purpose other than to identify prospective properties consumers may be interested in purchasing. All Information Is Deemed Reliable But Is Not Guaranteed. © 2019, MLS of Greater Cincinnati, Inc. All rights reserved.